Hello, everyone. Do you love my cover photo? 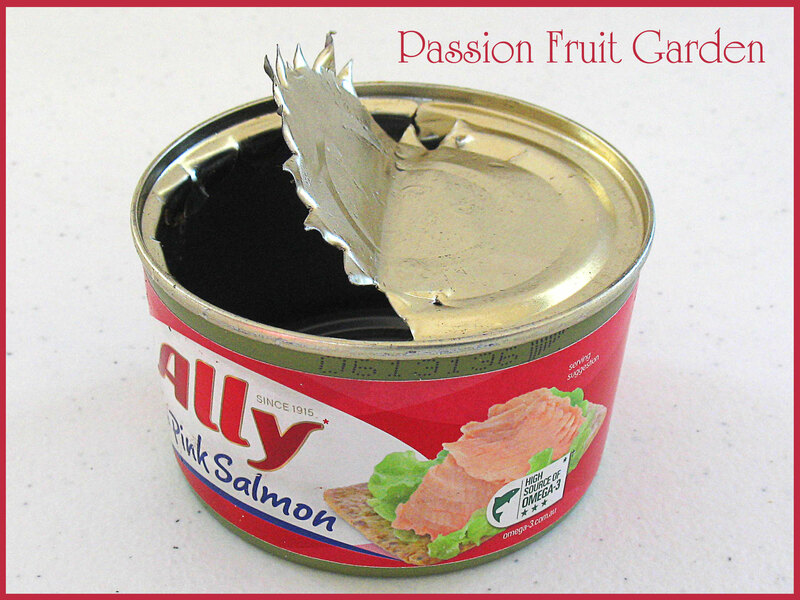 This is how Maus and I open canned food – with an old fashioned can punch. Those who have been reading this blog for a while would know I have a few things in my kitchen but, alas, on this night, there was no can opener. Luckily, Maus found an old can punch in the back of the drawer, otherwise we would have been stuck. I must put a can opener on the shopping list. 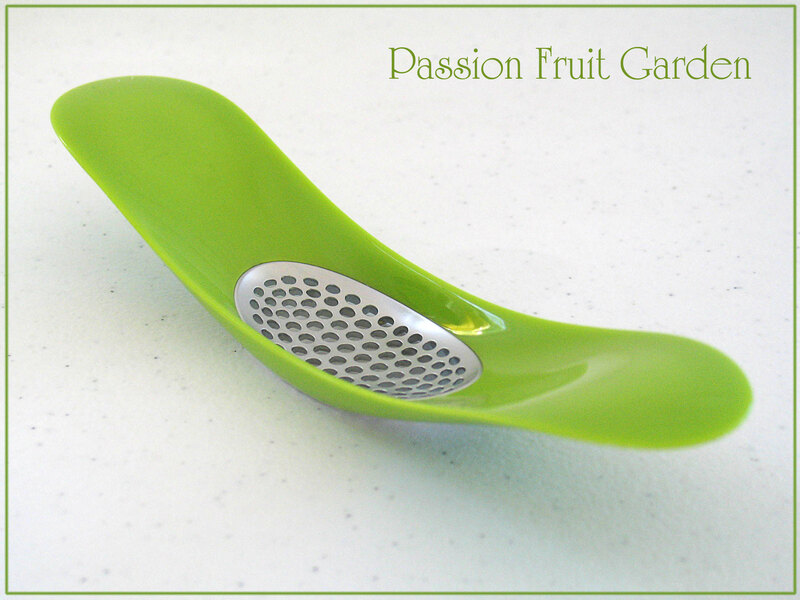 Is a new garlic crusher. It was a gift from my sister, Juanita. It works a treat but I am not convinced about how easy it is to get the garlic out of the little holes. Juanita reckons you just tap it on the side of your pot but I am positive that one day I will tap it too hard and break it. Is a flash new ice cream scoop – it is so cool. I love the colour – I may have mentioned it before – I am a pink girl. It was also a gift from Juanita. 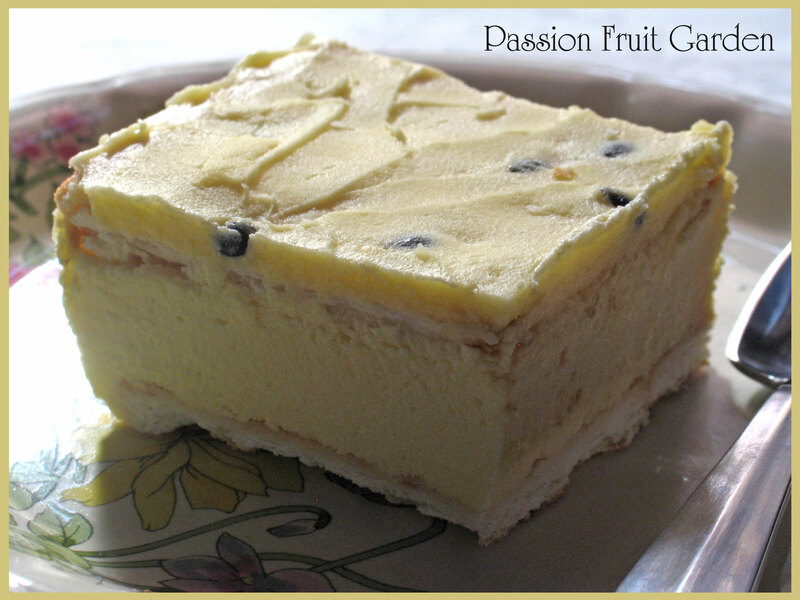 Was a piece of Bizzy Lizzy’s Old fashioned creamy lattice slice with passionfruit which Maus made. I think is the richest dessert I have ever tasted – and the most fattening. The filling is, essentially, cream cheese, butter and sugar. Now, if that doesn’t get your heart beating, nothing will. It must have been created before cholesterol and heart disease were part of our language. Anyway, Maus loved it and my concern over the calories did not stop me eating more than my fair share. 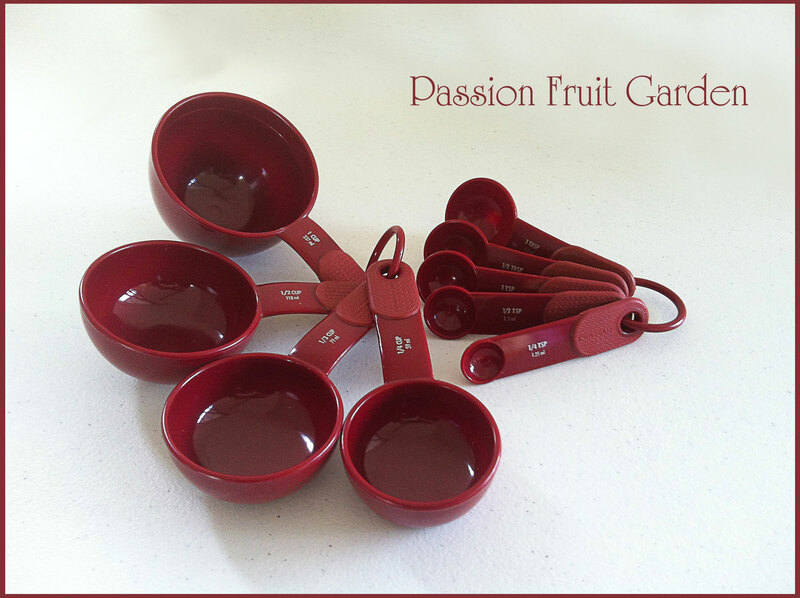 Is a set of USA measuring cups and spoon. I have wanted a set for ages so Maus’ sister, Pauline, brought one from the US for me. A standard US cup is 8 US ounces, which is 237 mils, whereas our cup is 250 mils. Our tablespoon is 20 mils whereas the US tablespoon (as in most of the world) is 15 mils. When making recipes you find on the web, you need to turn your mind to the measurements that are being used – a cup ain’t a cup and a tablespoon ain’t a tablespoon, in most cases. I have noticed that it is really getting confusing. With most kitchen appliances being made in China, no distinction seems to be made for the differences in national standards. Most cups you buy are 250 mils and most tablespoons are 15 mils. Paul brought a set back from the US a couple of years ago which had nothing written on them but seemed to take exactly the same amount as my 250 mil cups. It appears 250 mil cups are getting into the US. Also, when you buy a spoon set in Australia, you are more likely than not to get a 15 mil tablespoon, so watch out. Published Australian recipes should always use 20 mil tablespoons. These cups have 237 mils written on them, not 8 ounces which is also interesting. I bet most US citizens don’t think in mils. With recipes all over the internet, I think it is time to standardise our cooking measurements. In the meantime, I will be equipped when making a US recipe. Are some Manjimup walnuts. The other week, our mate, Big Al, asked if we knew where you could get local walnuts from. Luckily, Maus had seen them at the local IGA store. We decided to buy some, too. They taste lovely and fresh and are well worth the money. What I can’t get my head around is the fact that nuts that come from the next town cost $16.99 a kilo in the shell and nuts from California cost $19.90 a kilo already shelled. When you take into consideration the weight of the shells, the local nuts are much more expensive. The sad truth is most people would not be willing to pay a premium for local nuts. 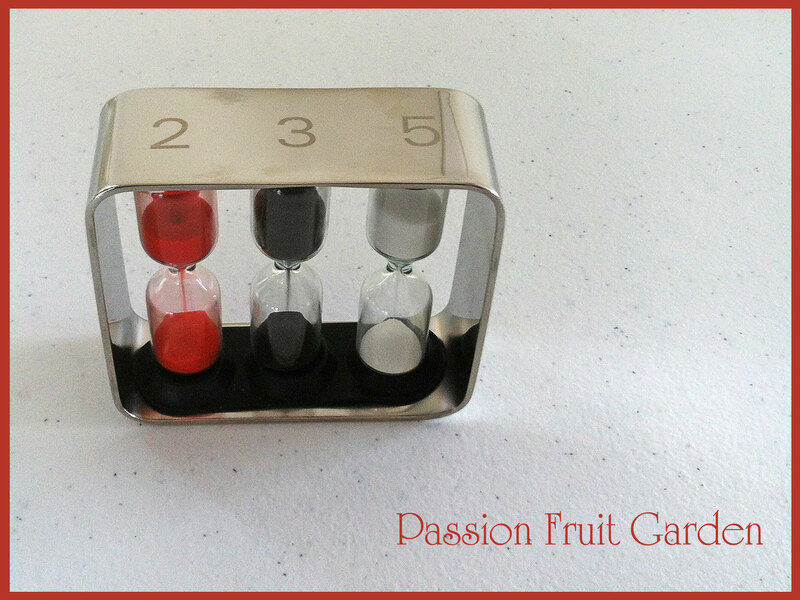 Is this cute little timer. It does 2, 3 and 5 minutes. Perfect if you want to time your cuppa or a boiled egg. It was a gift from our mates, Steve and Al. 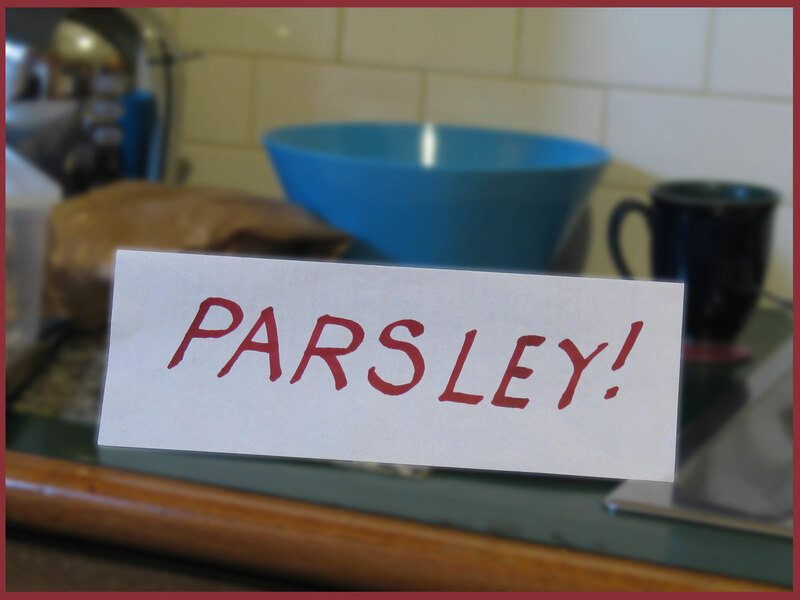 Is a sign to remind me to use parsley. Talking of Steve and Al … the other night, I am happy to report, after we had finished dinner, Al noticed Brussels sprouts and bacon on the bench – Steve had forgotten to serve them. I felt so much better. I do this all the time. When guests leave, I usually notice little bowls of parsley or mint or olives or some condiment ready to compliment our dinner. The other night, the parsley was rather important, and I did not want to forget it. To be doubly sure, I also had one of the guests on parsley duty (thanks, Deb). It turned out well – the parsley bowl was empty at the end of the night. 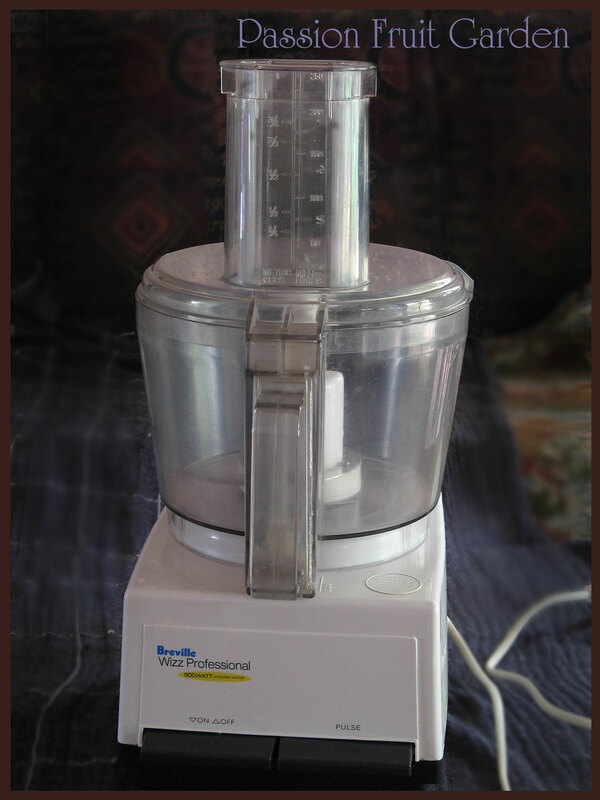 Is my new, old food processor. I have had a Breville food processor for years and I love it. A couple of years ago, one of the clips on the lid broke. I think it was whilst we were carting it back and forth between the two houses. I tried to buy a replacement bowl but you can’t buy them any more. It still worked with the broken lid, even if flour did fly around the kitchen when it was on. So as not to damage it more, I decided to buy a new food processor and leave one in each house. I bought a Magimix but I am not enamored with it. I have to keep my hand on the bowl while it is processing, otherwise it makes a funny sound and there are too many bits and pieces for my liking. Every time you use it, half the kitchen seems littered with dirty dishes. I much prefer my old Breville. It is not fancy, but it does the job. Anyway, of late, I have been grating bits of left over soap in my Breville and then processing the soap into mush to make balls. All was going well until last week when I was making balls out of non-perfumed soap. I know people like their soap perfumed so I decided to add a couple of teaspoons of fragrance to the soap mixture. Big mistake!!! The fragrance ate into the bowl and made it look milky. Worse still, the bowl smells divine but it is not a smell you would want wafting from your food. I cannot get the fragrance out of the bowl, no matter how many times I wash it. I was faced with having to buy another food processor. Then I had the idea of trying to buy the same model on Gumtree just to get the bowl. And as luck would have it, one was for sale. My food processor and soap smelling bowl have now been relegated to the garage and my new old year one is in the kitchen. I am set for as long as this bowl lasts. Is a wee bit of cling wrap and baking paper. I know I shouldn’t use it but I do. 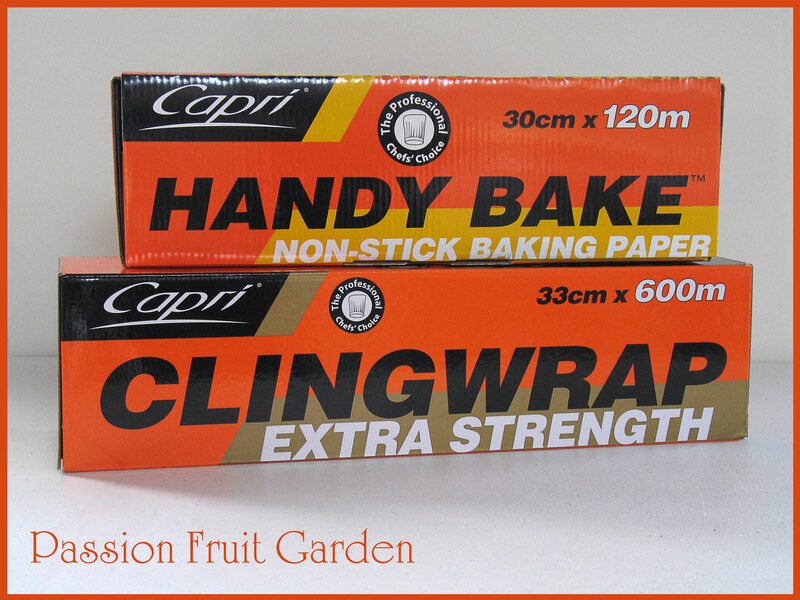 We usually buy big rolls of cling wrap from Master Butchers Limited. It costs significantly less than buying it at the supermarket and it is much stronger – it doesn’t melt in the microwave like the stuff from the supermarket. I haven’t tried this brand, so I hope it is as good as the last. At Master Butchers, you don’t seem to get a choice of brands. Whilst I was there, I noticed the baking paper. I go through a lot of baking paper baking bread so I thought I would try that out, too. Maureen from Orgasmic Chef is not hosting “In My Kitchen” this month as she is recuperating from a back operation. Nonetheless, a lot of the regulars have published IMK posts so check them out. 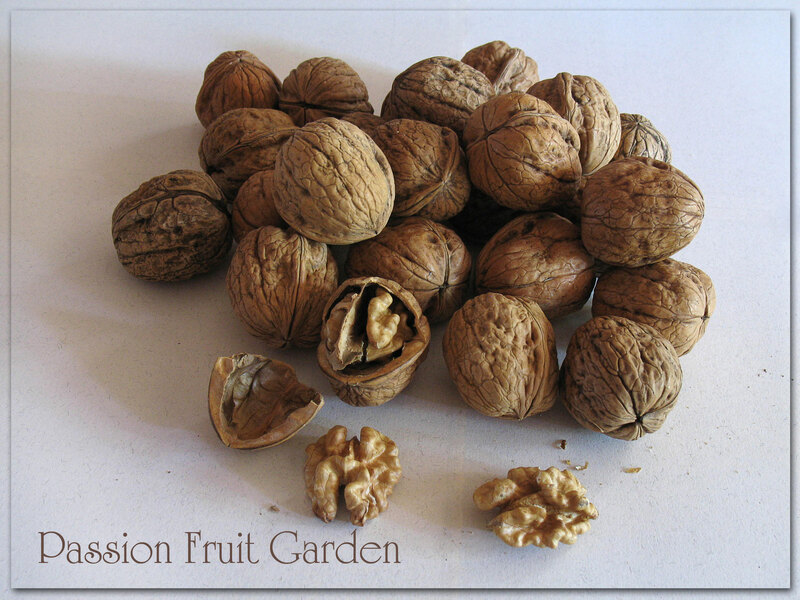 This entry was posted in In My Kitchen and tagged Local Western Australian walnuts, Manjimup walnuts by Glenda. Bookmark the permalink. I couldn’t help but think of you the other day Glenda. I had read you post but not yet commented when I came across a Breville Cyclonic Wizz in an op shop for $5. I have an old Kitchen Wizz and the bowl is a bit too small but demurred on buying it as a friend is gifting me her food processor that she never uses. It’s not a Breville so I may be regretting not buying that $5 Wizz but seriously, I can’t fit 3 food processors in my kitchen. Also thought of you as I finally got myself a decent ice cream scoop from the same op shop. Serendipity. Fi, Go back!! That is a real bargain. I would store it in the shed. I am already working out what to do with all my stuff when I move into one kitchen. I like the idea of a couple of cupboards in the shed to put things in I don’t use very often. Most welcome Glenda. Always love What’s In Your Kitchen. I wish I’d looked for a replacement second hand bowl when my trusty old Sunbeam Oscar died. I’ve bookmarked the lattice slice recipe. I know we’ll over indulge but some things are just worth it. I still have an old fashioned can punch in the glove box of my car, a hold over from the days when its cork screw was necessary… I’ve had that car a looong time! Hi Ella, I don’t know where that can punch came from but so glad it was in the back of the drawer. I do need to get a can opener. I used my new old food processor today. Even if it conks out it, didn’t cost me much. I’ve never worried about the source of recipes and their measurement, just kept mine consistent and I don’t think it’s ever failed. Smart thinking Glenda, shopping for replacement parts secondhand. I love my 20yr old Magimix, but think the jug clips are on their last legs. Hi Sandra, It seems the bowl and lids go first – it is so annoying when you can’t get replacements for them. You are obviously an accurate measurer Glenda! I much prefer weighing as my spoon measurements are a bit haphazzard. What size are your teaspoons? It would be interesting to do a taste test with local v imported walnuts. I’m down to the last walnuts from our tree and hoping to beat the pesky squirrels to them again this year. Anne, I prefer weighing too but a lot of American recipes use cups. Our teaspoon is 5 mils – I think that is pretty standard. The local walnuts tasted great but I think only the most discerning would be willing to pay extra for the freshness. 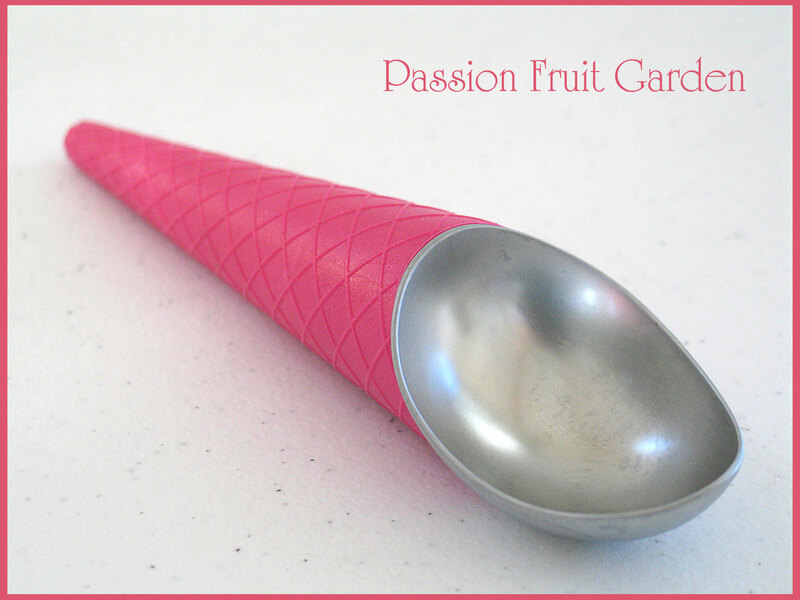 Absolutely adore your ice cream scoop! Definitely a lot of things in your kitchen, Glenda. Love the ice cream scoop and the multi-minute timer. Both very cute. Yes, many people in the US do not do metric (unless you are a scientist) and haven’t a clue that the rest of the world is baffled by the use of cups – a volume measurement – when weights are more accurate. I also hate it when a good utility is rendered useless for the want of one replacement part. There are some internet sources for parts (in the UK) that I have found, but not for everything. Am looking up that recipe for the calorie-laden cake as I have a lot of cream cheese to use up – plus it looks delicious. Not for me, but for a bunch of young students! Ouchies to the can opened that way…. so bloody dangerous. Thank you so much for the shout out… love that slice. So yummy. Agree with you about the garlic crush. What’s wrong with chopping it? You don’t get that awful garlic odour that way. Yummy to the walnuts…. and nice one to the ice cream scoop!